Having a tooth abscess is literally a pain therefore one would not have second thoughts in pulling the miserable tooth out. However tooth extraction may not be the only way out of the pain. 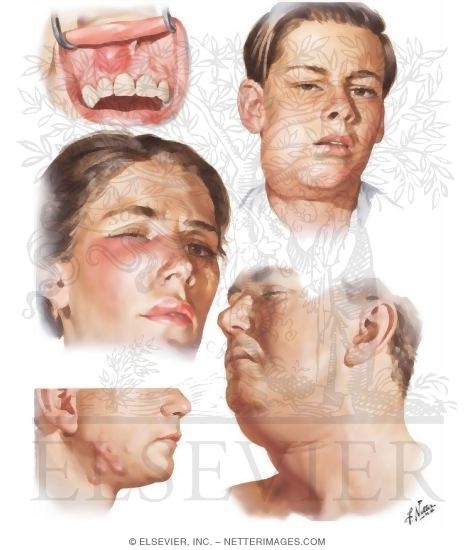 An abscess is a localized collection of pus surrounded by inflamed tissues. A tooth abscess, also called an acute periapical abscess, may develop either directly from acute periapical periodontitis (inflammation of the tooth supporting tissues around the apex) or usually from a chronic periapical granuloma. These conditions are caused by pulpitis and pulp death from cavities or recurrent secondary cavities after a filling is done, trauma to the tooth or even endodontic treatment. How to treat a tooth abscess? Perhaps the fastest way out of pain and the most affordable option for dealing with an abscessed tooth is dental tooth extraction. Dental abscess can form in a badly decayed or infected tooth and the quickest way to drain the pus would be tooth extraction. If you don’t want to get your tooth pulled, then one of your tooth repair options is to have a root canal. 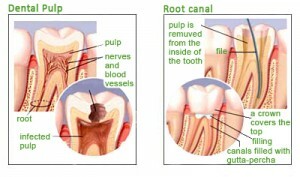 Root canal therapy is done to facilitate drainage of pus through the root canals. Relief of pain can be obtained speedily by obtaining drainage and adjusting slightly the occlusion of the causative tooth. Ideally the tooth should be allowed to drain until the discharge stops and then the canals irrigated gently with sodium hypochloride, cleaned of debris and prepared fully, dressed and sealed as normal. Such a regime rarely leads to complications. However, this is not always possible either because of lack of time or because the tooth is exceedingly tender and there is copious discharge of exudates. In this case it is permissible to leave the tooth on open drainage for no longer than 24 hours. At the end of this period the individual should be seen again and if comfortable, the canals cleaned of debris, irrigated with sodium hypochloride and shaped with files prior to closure. 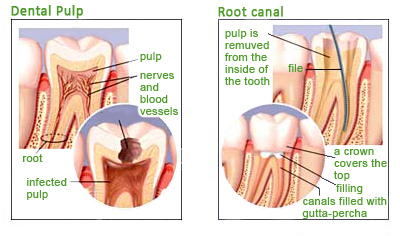 It is important that the root canal is cleaned and sealed as soon as possible so that food does not pack into the canal and allow invading microorganisms cause a further acute flare-up. Leaving the cavity open for a long period may lead to cavities and may make subsequent restoration of the tooth very difficult if not impossible. Sometimes because of anatomical difficulties or because there is an immovable obstruction in the root canal it may not possible to obtain drainage through the canal. In such instances emergency treatment will depend on the presence or absence of swelling. 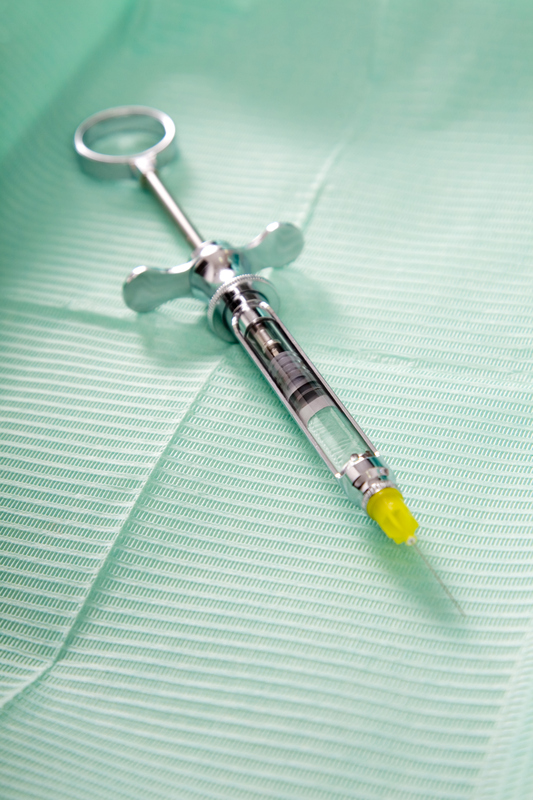 If the swelling is fluctuant, incision and drainage, or aspiration through a large bore needle into a syringe, are advisable and generally relieve acute pain. If there is no swelling, supportive antibiotic therapy may be appropriate, followed by root canal re-treatment or surgical treatment when the acute symptoms have subsided. I want my abscessed tooth extracted right away but my tooth is not numb after several injections. Why is that so? 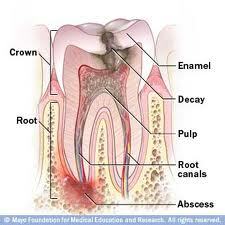 Pulp inflammation in the affected tooth produces chemical mediators which cause hyperexcitability of the nerve fibers. The local anesthetic solution is therefore unable to block the conduction of these impulses. There is usually increased vascularity (flow of blood) of the tissues in the region of the inflamed tooth and hence the local anesthetic may be more rapidly removed by the bloodstream, shortening its period of duration. The pH of inflammatory products in the region of the tooth may be more acidic, thus making the local anesthetic solution potentially less effective. There is a tendency for inflammation to increase sensory nerve transmission so countering the effects of anesthetics. You may be prescribed painkillers with or without antibiotics and be asked to return a few days later to proceed with the extraction of the abscessed tooth. What happens if the tooth abscess is not treated? If the cause of the dental abscess is not removed, for example by extraction of the tooth, root canal treatment, or antibiotic therapy, pus discharge will continue and the abscess continues to enlarge, leading to abscess opening in the mouth or worse, an odontogenic infection which can spread around the face. How is an odontogenic infection treated? Treatment for an odontogenic infection should be started rapidly as infection may spread quickly and in some cases progress to life-threatening situation with great rapidity. Those at risk of airway obstruction, cavernous sinus thrombosis or showing toxemia (blood poisoning caused by bacterial toxic substances in the blood), suffering physical discomfort or with a high temperature should be treated immediately and admitted to hospital for treatment. Pus must be drained as soon as possible. With most infections causing swollen face, effective drainage of pus and removal of the cause are the only treatment required. To ensure success, a drain may need to be placed in the incision. The cause should be removed as soon as possible as removal of the causative tooth both prevents continuing infection and also drains the abscess within the bone. The exception to this rule is when the cause is pericoronitis. In this case the soft tissue rather than the tooth is the cause and extraction can be detrimental. Antibiotics treatment is provided if necessary for even though antibiotics provide little benefit over drainage and removing the cause, they are often used and occasionally required. Pus should be collected on drainage and submitted to microbiology for culture and sensitivity investigation, in case a change of antibiotic is required subsequently. Supportive measures are provided by ensuring that the individual can eat, maintain a good fluid intake and rests. An admission to hospital should be considered until recovery has started and appropriate analgesics are provided. The progress is then reviewed regularly.